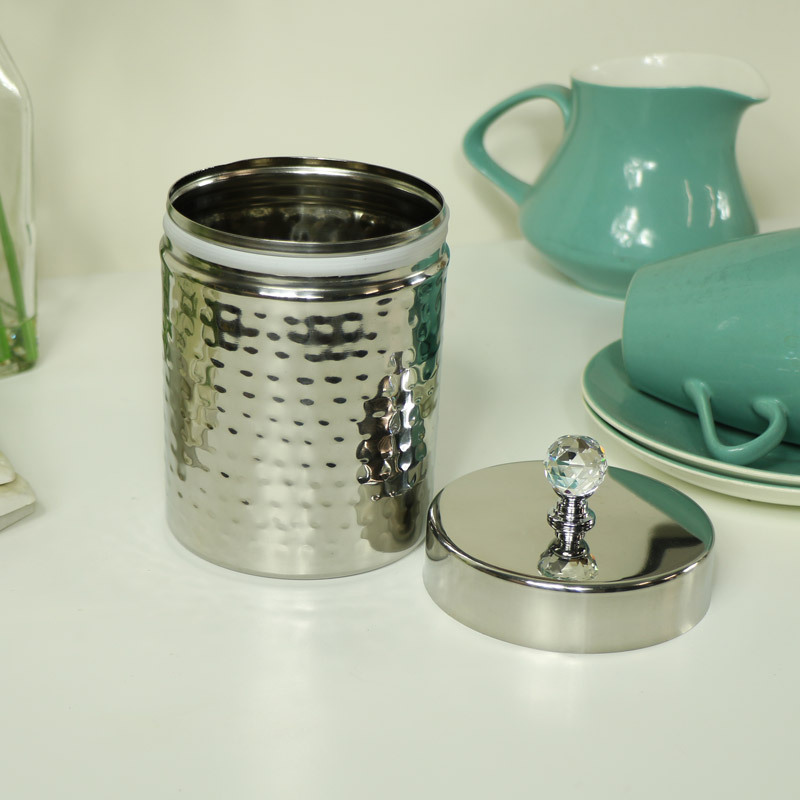 Round silver metal storage jar with crystal button top. Vintage style, perfect for tea, coffee & sugar storage. Decorative dimpled metal base with crystal topped metal lid. This tim has so many sotrage options, use as a set of 3 for your favourite tea & coffee with another for sugar or use for toiletries & makeup storage. A great look that will fit in with any colour scheme & ideal for kitchen food storage. Round silver metal storage jar with crystal button top. Vintage style, perfect for tea, coffee & sugar storage. Decorative dimpled metal base with crystal topped metal lid. This tim has so many sotrage options, use as a set of 3 for your favourite tea & coffee with another for sugar or use for toiletries & makeup storage. A great look that will fit in with any colour scheme & ideal for kitchen food storage. 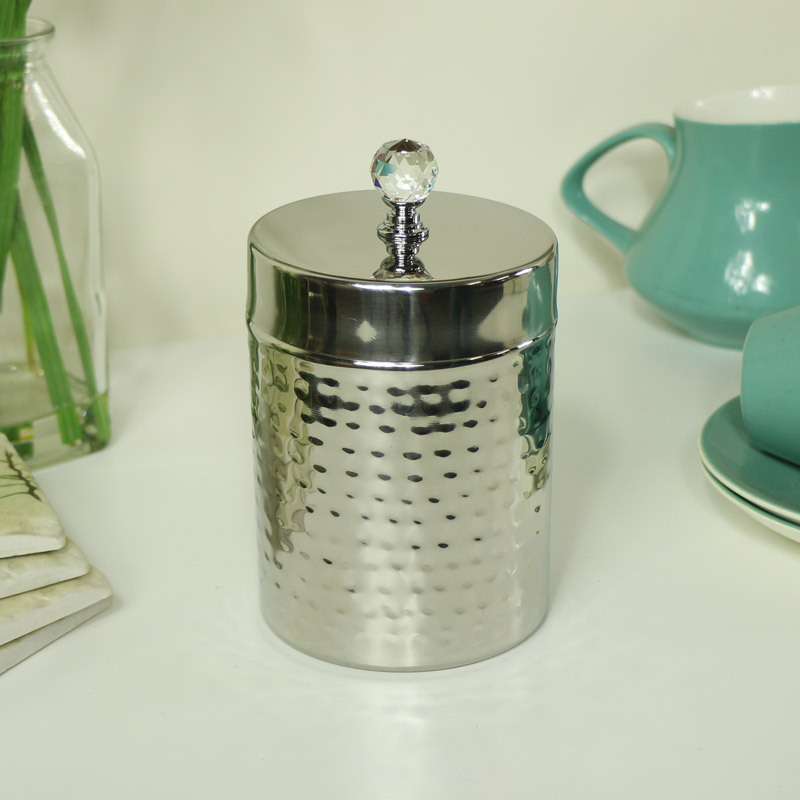 Made from metal with decorative dimpled base and polished silver style lid. The lid comes with an airtight seal to keep contents fresh. A great addition to our wonderful range of gifts and home accessories.